One of the biggest staples in the Lower household is our peanut butter and jelly stock. The kids love pb&j. Recently, a friend brought me a gift. She taught me to make jelly. It was like stirring up a pot of sugary goodness in my own kitchen. I can't tell you how wonder the sound of canning jar lids "popping" sounds for the first time. The recipe came with the pectin (an ingredient needed to make the jelly) and it was a little confusing to follow if you didn't know where to look. As a writer, I am tempted to re-write the instructions and send it back to the company so that people like me don't get so confused having to jump from the front side to the back side of the paper. 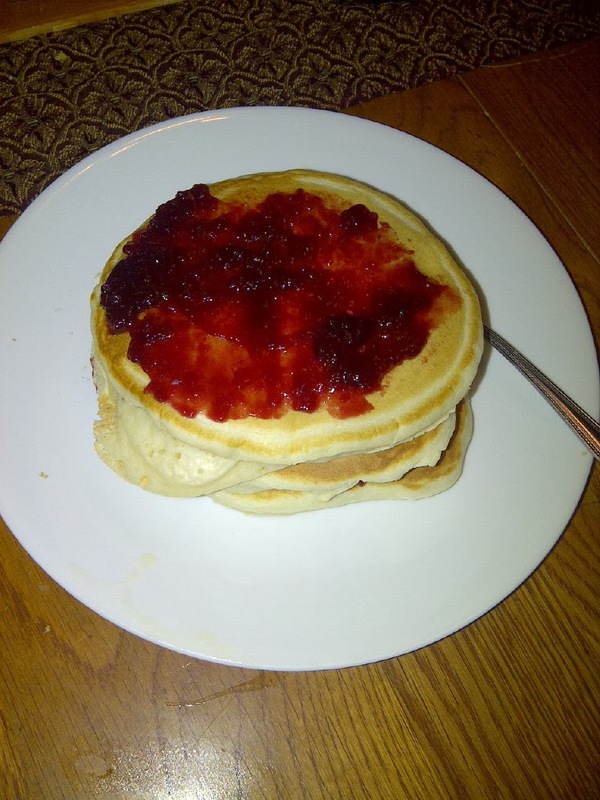 As we got these all canned and I was placing them in my cupboard, I remembered the delious blackberry jam I had gotten years ago in a family exchange during Christmas. 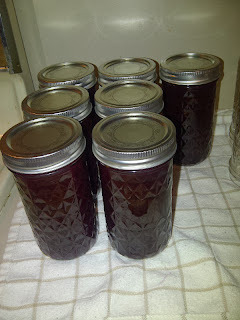 A jar of jelly with or without a small loaf of fresh baked bread can make a great gift around the holidays, too. All you need is some canning jars, pectin, fruit, sugar, and time. Oh, and jelly is also good on those Christmas morning pancakes!